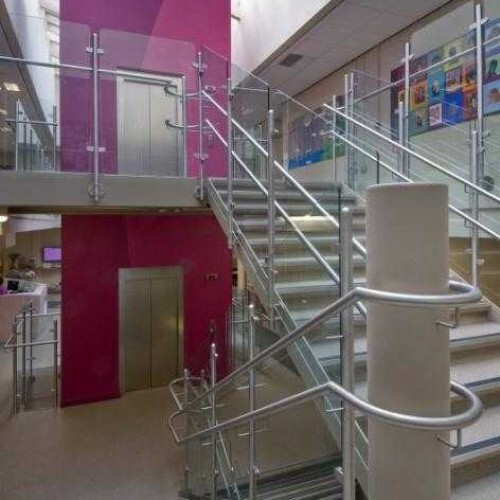 Here you will find examples of bespoke balustrade systems made to specific customer requirements. 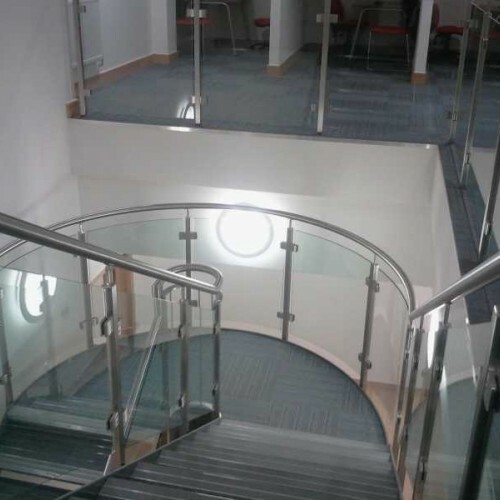 DioMet offer various standard priced balustrade systems however should you have a specific requirement we are more than happy to help. 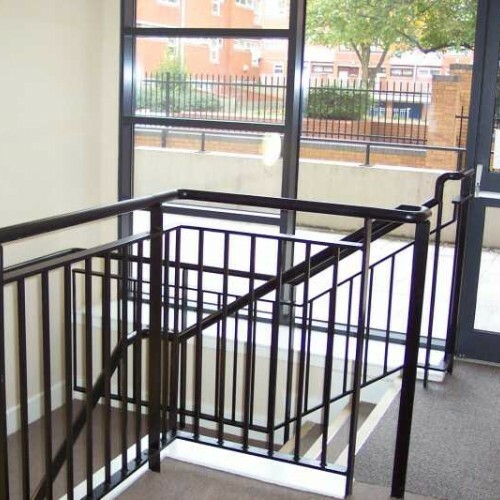 Our stainless steel balustrade railings are manufactured from 316G (marine grade) stainless for external use and 304G for internal use. 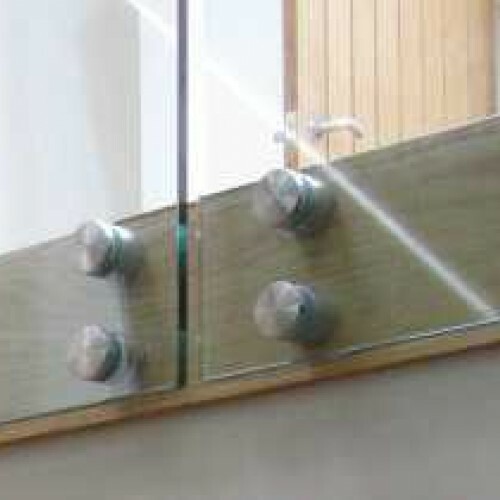 We offer a brushed finish to 320 grit as standard but can also provide mirror polished products too. 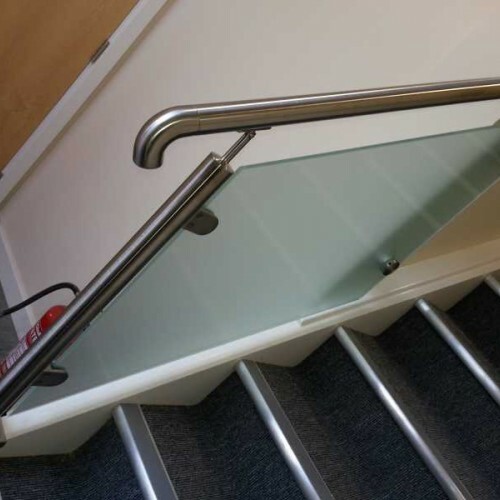 At Diomet we have our own in-house polishing facilities at our workshop in Sheffield and all products are given a final polish prior to dispatch. 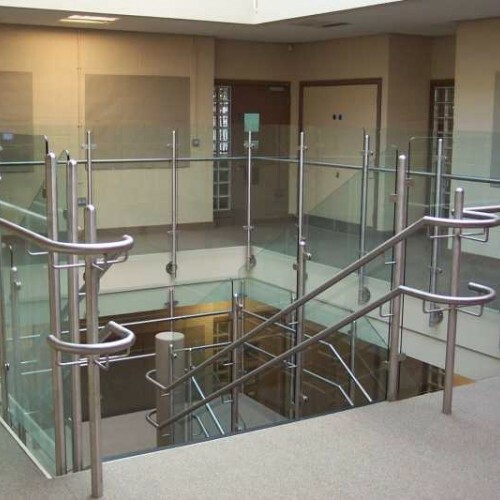 The most popular balustrade designs incorporate stainless steel and glass using tubular handrails / posts to create a modern and contemporary system whilst remaining cost effective. 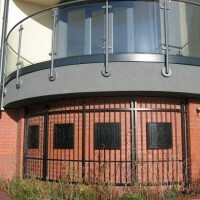 The major alternative to stainless steel would be mild steel AKA wrought iron. 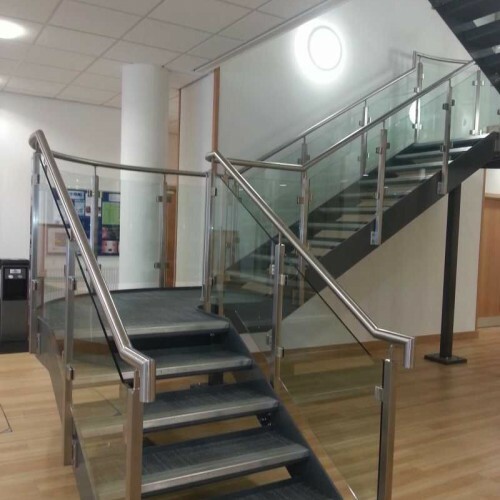 Mild steel components are much more cost effective than stainless steel and provide a more traditional look to your balustrade system. 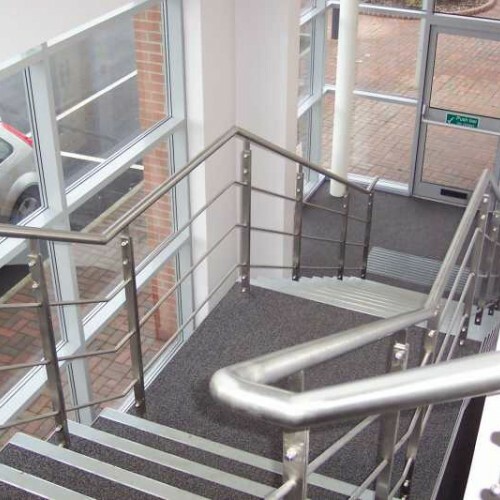 Designs for mild steel balustrade are limited only by your imagination, many customers will mix and match juliet features to create a completely unique product for their home / office. Primer painted : For basic weathering protection to be painted by the customer. 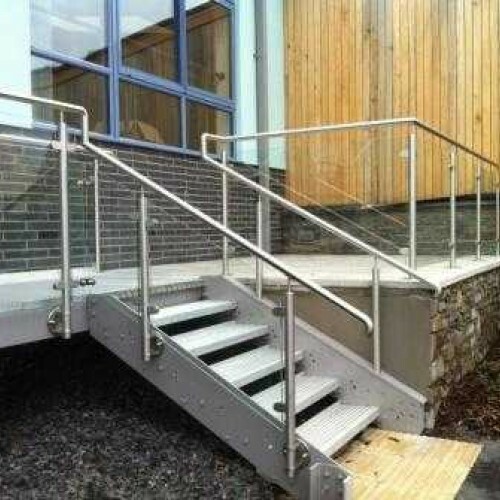 Galvanised : Hot dip galvanized finish to protect from the elements for upto 25 years for external balustrades. 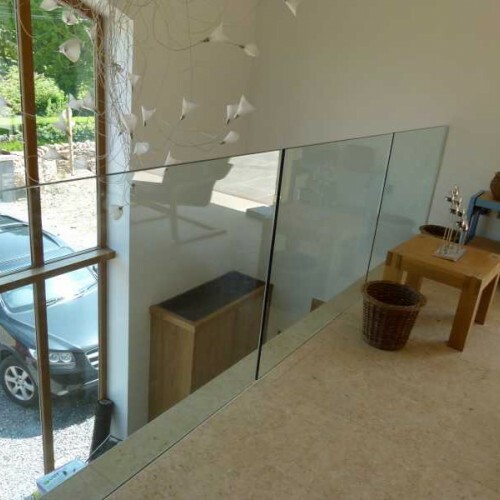 This is our standard balustrade finish and is highly recommended for minimal maintenance. 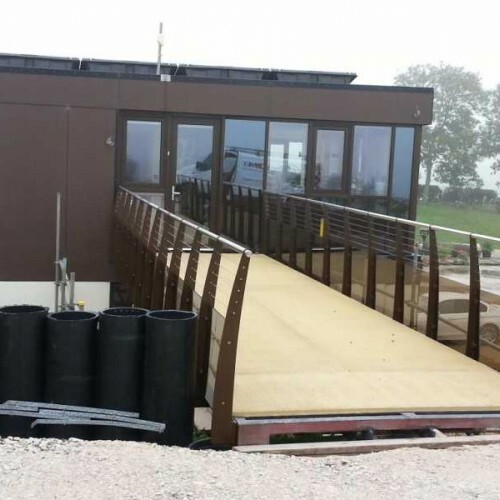 Galvanised products can be painted by the customer at a later date if required . 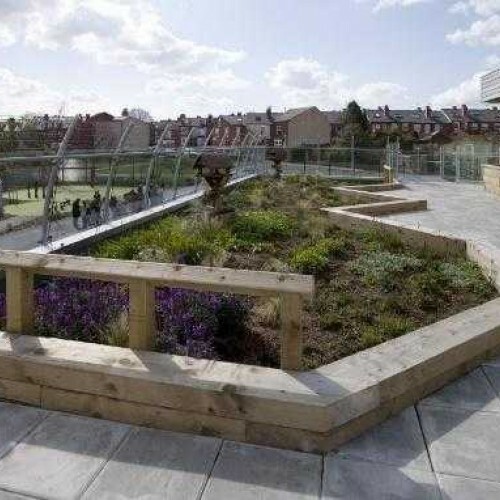 Please make sure that you T-Wash the rails prior to applying paint otherwise the paint will not adhere properly, use a product known as 'mordant solution' . 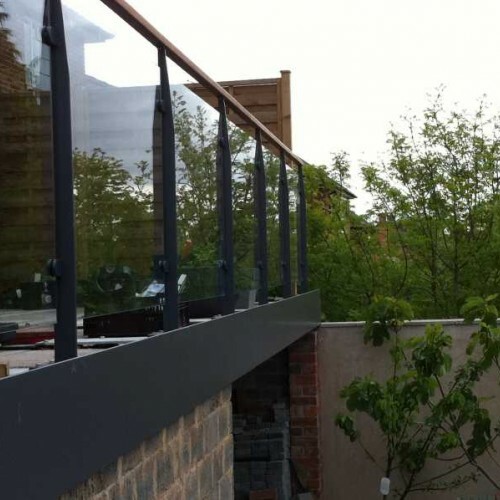 Galvanised and Powdercoated : Balustrade components will be galvanised, T-Washed and then polyester powdercoated for a durable and smooth finish. 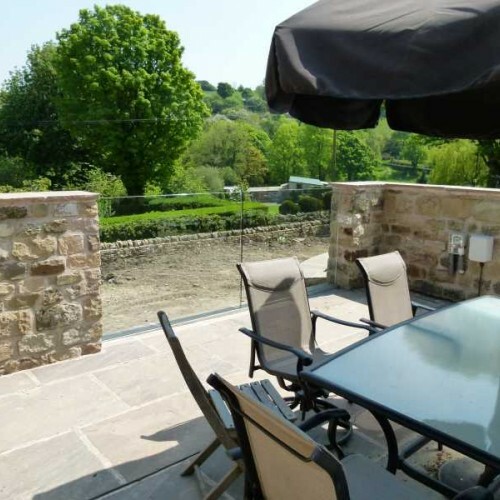 We can paint most basic colours requested or coat to a specific RAL code or BS number. 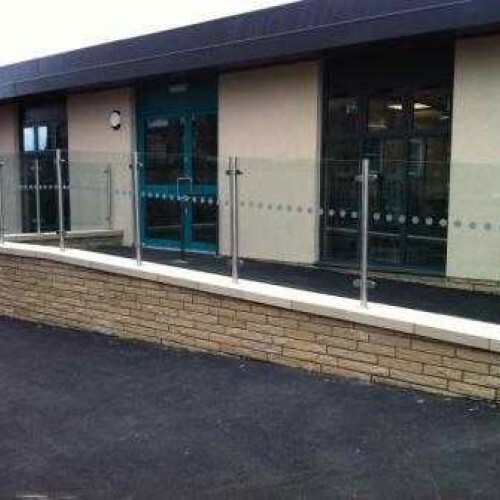 Many customers like to match their balustrade to the colour of their windows for example. 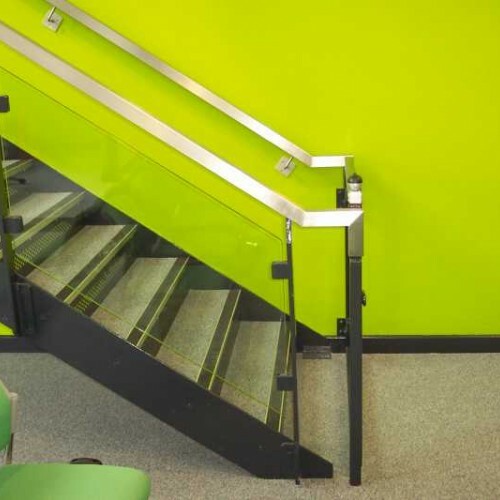 Send us a sample of your material and we can provide a colour-match service too. 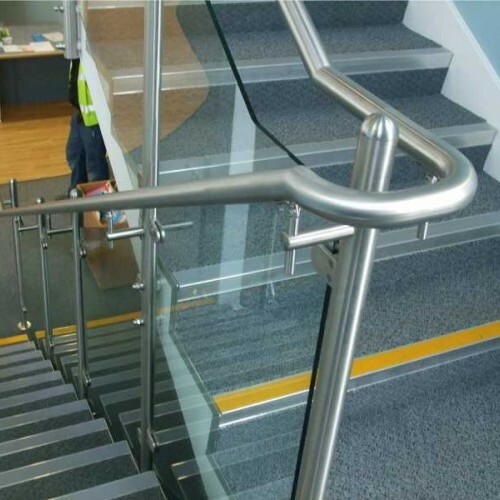 Powdercoated : For balustrades that are to be used internally only - no need to have galvanised. 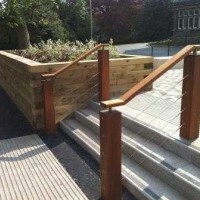 We offer various timber handrail options to finish off your glass balustrade, the most popular and readily available being Iroko. 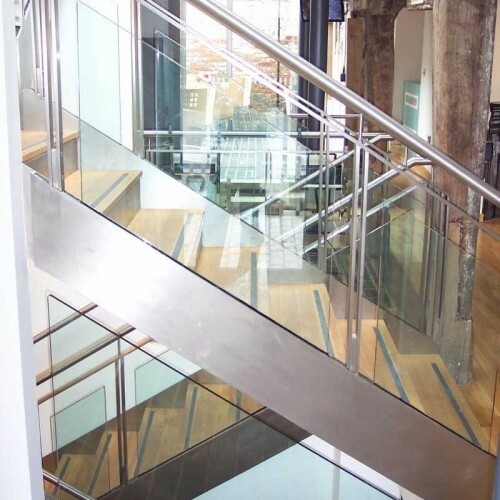 Our in house engineers will manufacture a steel 'ribbon rail' that would support the timber above it. 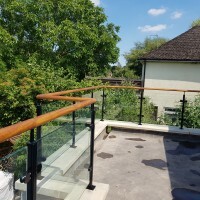 All balcony and balustrade projects that include a timber handrail will be pre-assembled, sanded and oiled prior to dispatch with any joints filled and smoothed off. 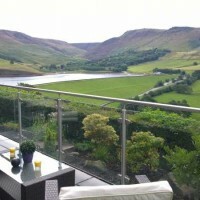 Other timber is available on request such as Scandinavian Pine, Yellow Balau, Ipe, Massaranduba and oak. 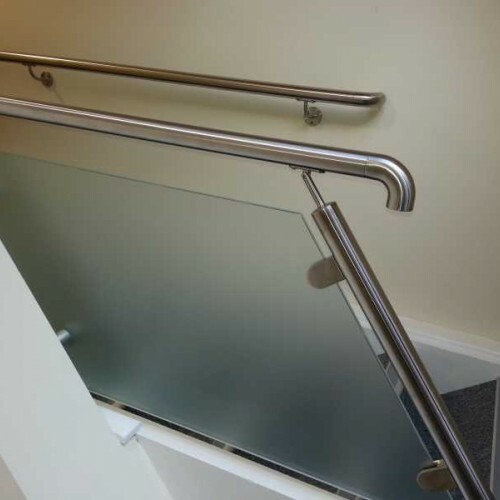 Glass balustrades are one of our most popular products. 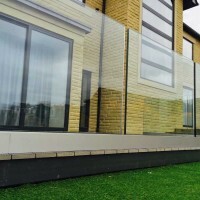 We use 10mm toughened safety glass as standard with polished edges and radius corners. 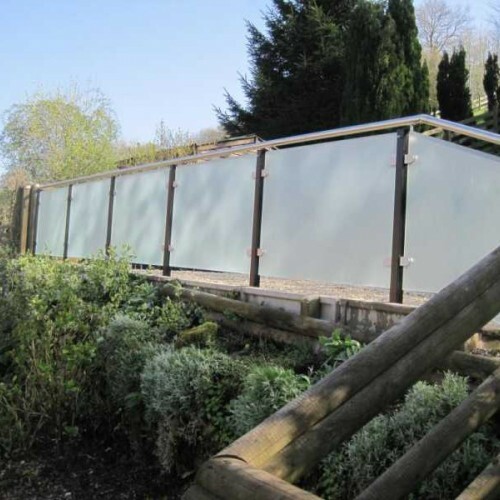 Other glass options include frosted / sandblasted, tinted, laminated, screen printed or we can even sandblast a particular design feature into each panel. 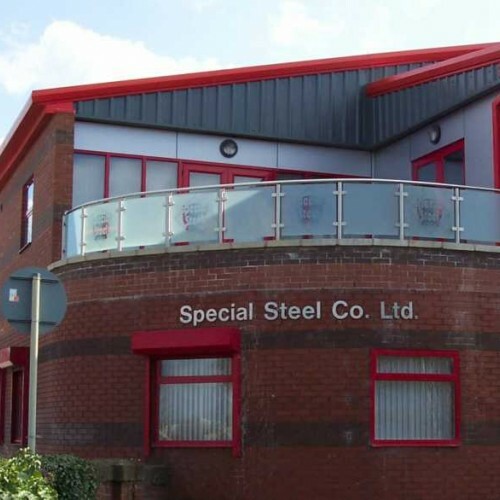 Solid round or square infill bars are the most common and cost effective way to infill a mild steel balusrade. 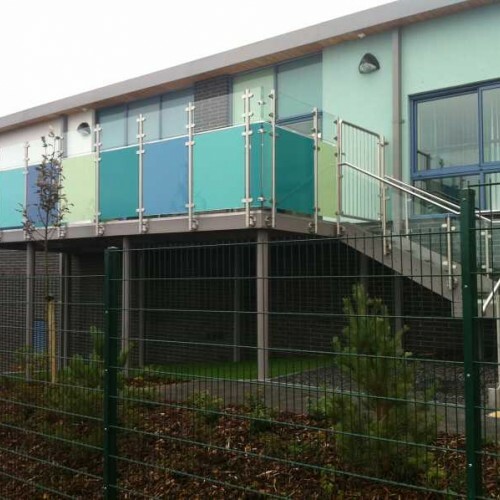 Perforated sheet metal panels can also be used. 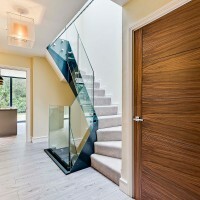 These provide a higher level of privacy but still allow the necessary light to flow through the balcony. 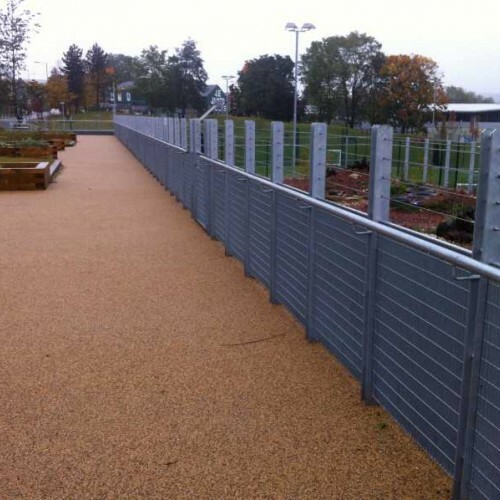 Options include stainless steel / mild steel and there are a number of different perforated patterns to choose from. 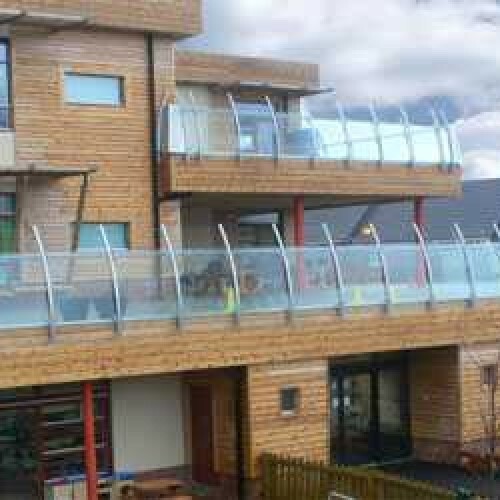 Stainless steel wire ropes can be used to infill your balustrade. 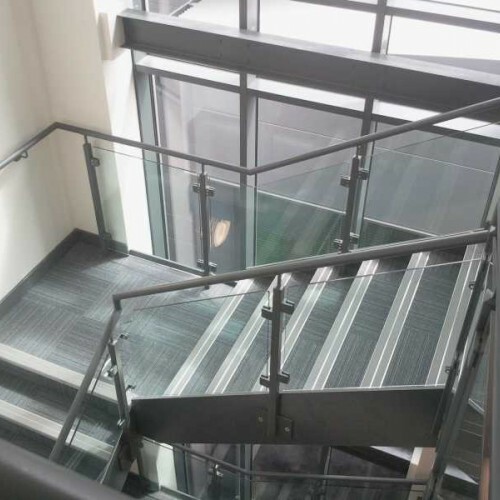 These are typically used on commercial projects due to building regulations. 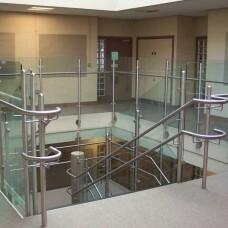 Stainless steel and glass balustrade with handrail suitable for staircases, landings and balconies. 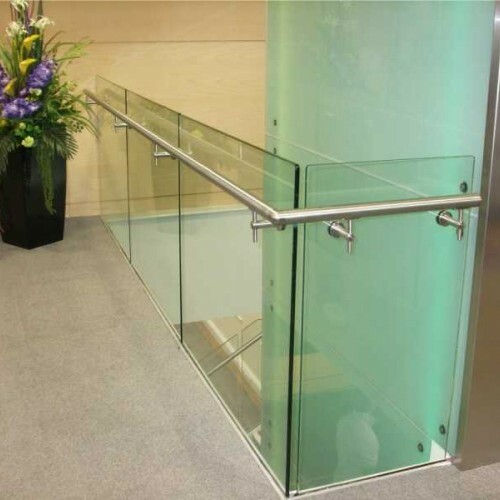 ..
Frameless, structural glass balustrade with optional handrail suitable for staircases, landings and ..
Galvanized and powdercoated glass infill balustrade with iroko wooden handrail suitable for staircas..
Frameless, structural glass balustrade suitable for staircases, landings and balconies. Made from 15..